Log on to a Windows computer on any Madison College campus with your user name and password, and you will be automatically connected to your Home Directory / H drive. You'll see a drive identified as H: with your username. Save early and often - Check location - and Back up! Your Home Directory / H Drive. Save early- As soon as you start a document, save it. Save often - Maybe every paragraph or so. Check where you are saving - ​Always check where your work is being saved. Use File-Save As... If you open a document from email, blackboard or a webpage, it may automatically save to a temporary location and the file will be deleted when you log off. Backup - email a copy to yourself or save in a couple locations. Protect your important data by making copies 2 ways, 1 of which is in a remote location such as your Home Directory network storage. 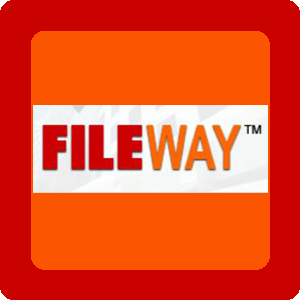 Upload and download files using FileWay, a secure, web-based remote file access application. Access your files on-campus or off-campus. Helps prevent loss of data if the local computer you are working on crashes or has a failure. Secure - The data does not get erased until you delete it, because it isn't stored on the local computer; it’s on the server. No one but you can access your files. Free - for students, faculty and staff. Storage space = 500 MB for students. 2015 Update to FileWay including a mobile app option. 2014: File storage increased to 500 MB. 2011: Home directories for students were relocated and upgraded. Files were not automatically copied or moved to the new home directories.